It is a vicious circle! I see your boys are only a year behind my grandsons. I also am like you, a little unnerved when men make “blanket statements” like the Bachelorette won’t remain friends with the ones she doesn’t choose. Why not? They have all gone through the “wringer” of emotions and learned a lot about each other. I have a good male friend, Bill, who I know would think it is possible to stay friends with someone who has gone through a trauma, like the show. 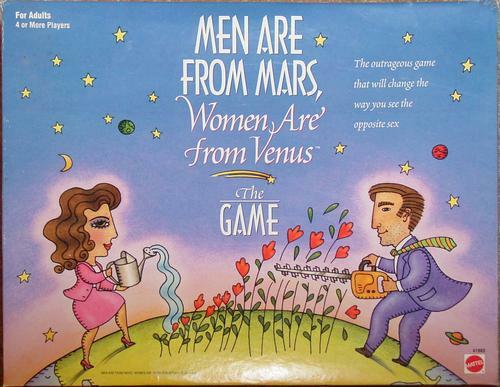 But, again you are right to say the book (also game) that men are from a different planet from us altogether! Hope you get your rest and also, some snuggling in sometime with Mr. Nice guy! Thanks for your recent comments about “Despicable Me 2” and I hope you get to see it with the boys sometime soon! Thank you so much! Yes, I agree it is such a shame to lose tough with someone after you’ve shared such an extraordinary experience! So many of us can relate to this crazy cycle, but like you said, we wouldn’t trade it. We look at our munchkins and realize we would do all this and more for them. ABSOLUTELY! I know I wouldn’t have it any other way. But wouldn’t it be nice to have a day off every once and a while…??? 😉 Thank you for the comment!! I like your youthful energy and wit! Enjoying following your posts, thank you for visiting mine, too. You hit it right on the nail! It definitely makes things interesting, now doesn’t it?? ;). Thanks so much for commenting! !